THERE'S NO CRYING IN BOOT CAMP! Despite being the shortest month, it always seems to drag on! There are more indoor recess days than any sane teacher can handle. Students start slacking. You are literally counting down the days until spring break! 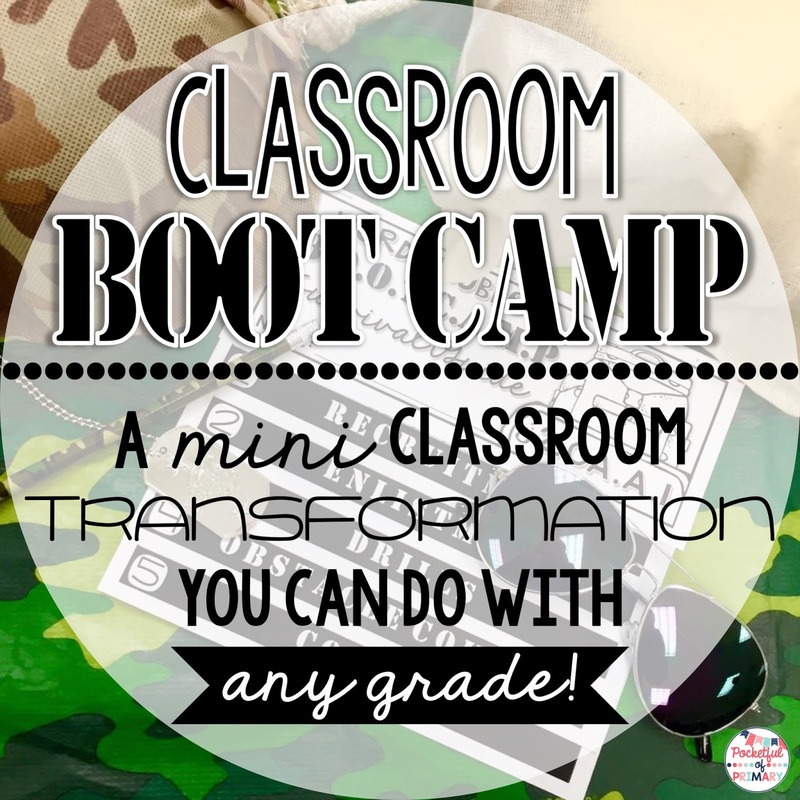 What better way to break routine and whip your students back into shape than BOOT CAMP! It all started when I saw an army helmet at the dollar store and my mind started racing with all of the possibilities! 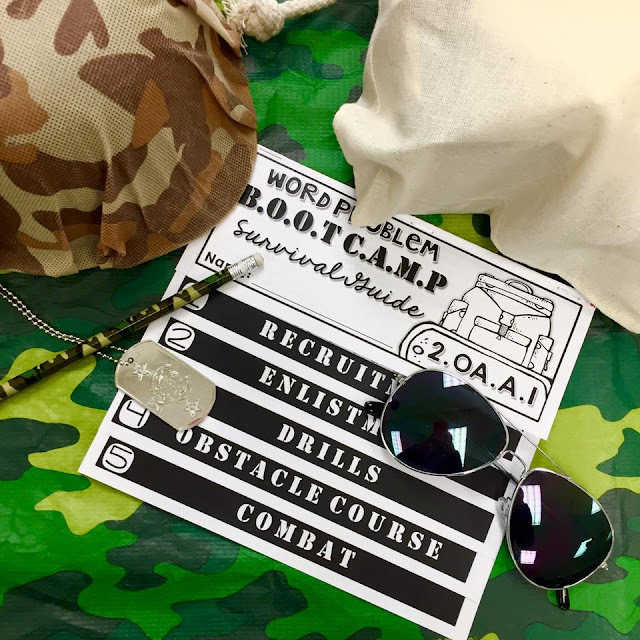 I decided it would be best to incorporate reading, language arts, and math so the boot camp could be a full day adventure! I ended up continuing boot camp for 2 full days and very easily could have done a third! There are so many possibilities! 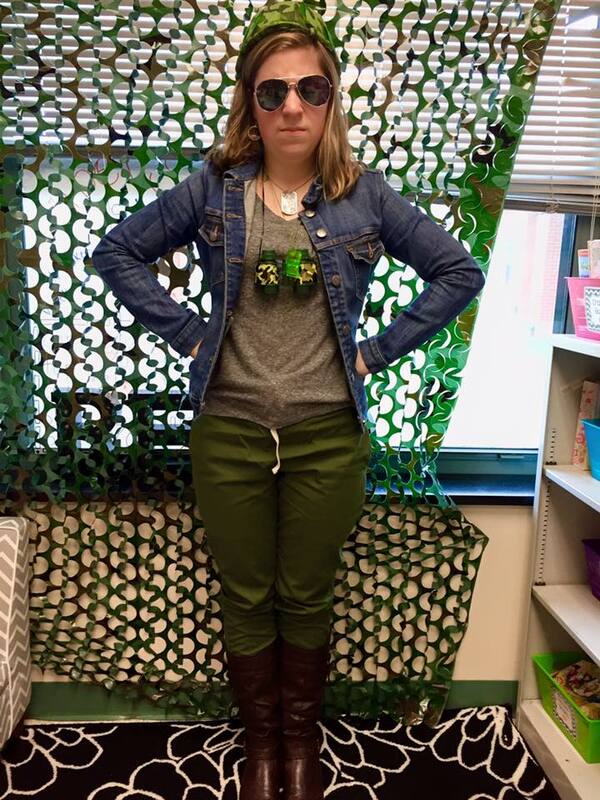 I purchased anything and everything camouflage I could find from Amazon, Dollar Tree, Hobby Lobby, and Party City and went to work decorating my classroom! Not going to lie... You could have put a camo umbrella in front of me and I would have bought it! The camouflage helmets and aviator sunglasses both came from Dollar Tree (I may or may not have visited Dollar Tree stores over 100 miles away to get enough for all my students!) The dog tags, pencils, and table cloths all came from Party City and the canvas bags are available on Amazon. 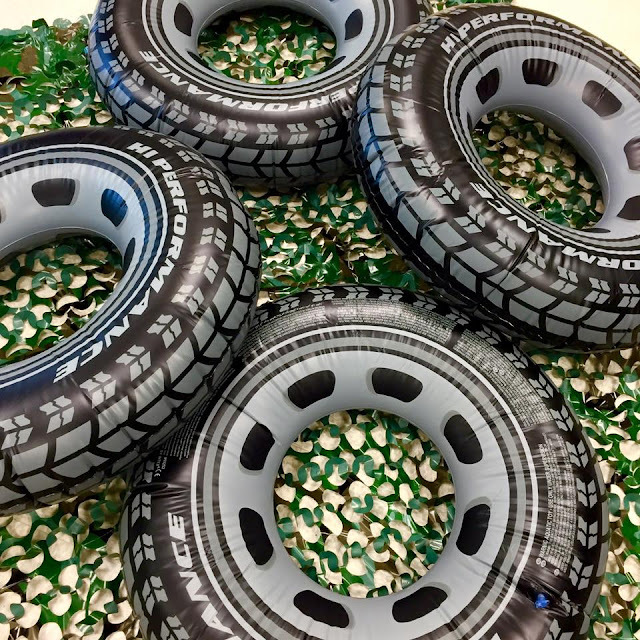 The camouflage netting and inflatable tires all came from Amazon (thank you Amazon Prime for offering two day shipping!) If you can borrow an air pump from your P.E. teachers, I highly suggest it! Nothing makes you feel out of shape quite like blowing up 8 inflatable tires! I hate to admit it but dressing like a Drill Sergeant was the most comfortable decision I have ever made! I snagged the green pants super cheap from J Crew (you can't beat $70 pants for $6!) They might have been in the men's department but I'm just going to pretend they were put away in the wrong area. Anyone can put on a costume but getting into character is an entirely different story. I cannot stress the importance enough! Your kiddos will eat it up! Although my throat is a little rough after yelling "ATTENTION!" for 2 days straight! Now let's talk CONTENT! Enhancing the atmosphere is one thing but teaching rigorous content is what matters! I decided to focus on the skills that my students have been struggling with since the beginning of the school year. They are tired of reviewing them so this was the perfect opportunity to engage them to the max! For math, we focused on the dreaded WORD PROBLEMS. My kiddos normally cringe when I mention them! But I must say... I didn't hear an ounce of negativity about word problems the entire time! Although I did tell them there's no crying in boot camp so they may have been intimidated! I used my Word Problem Survival Guide to well, guide my math instruction for the 2 days! This flip book includes examples, guided practice, independent practice, task card practice, and more! Not to mention it can be created with only 3 pieces of paper and no trimming! My 75 minute math block normally consists of 30 minutes of whole group and 45 minutes of math groups/stations. I have 4 math stations that my students visit (you can see how I organize my math groups here) and my students completed the "DRILLS" and "OBSTACLE COURSE" for 2 of those stations. For reading, we focused on MAIN IDEA/author's central message/central theme/whatever else you want to call it. This is that one skill that we just can't nail down. So a little extra practice never hurts! For the first day, I decided to incorporate some hands on practice. 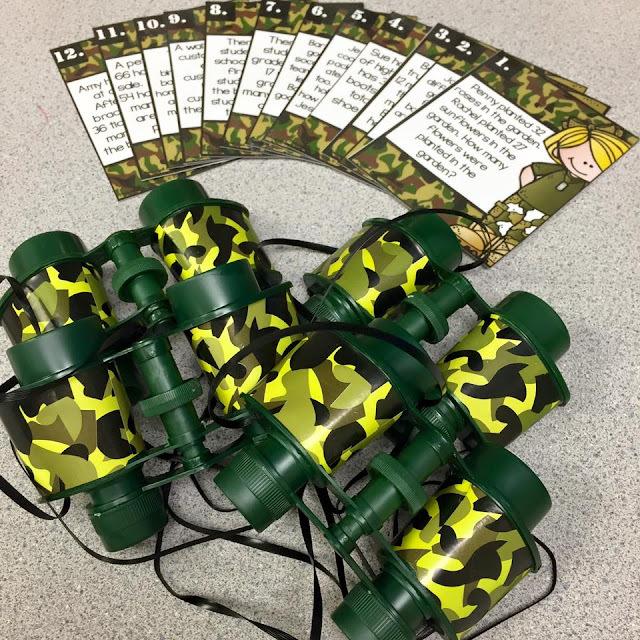 I started by showing a Flocabulary video on main idea and then completed a mystery bag activity to help students understand the difference between the subject, details, and main idea. I filled the canvas bags I purchased from Amazon with various items that were all related in some way. 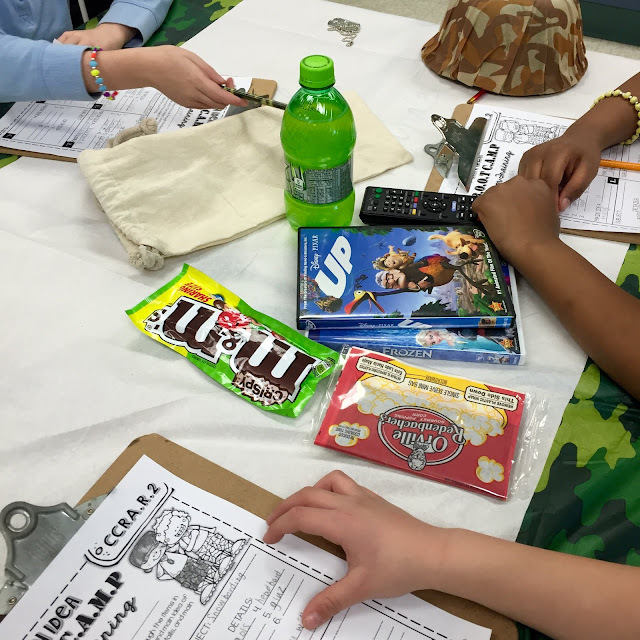 Students worked in groups to go through the items in each bag and decide the subject and write a main idea statement about the items. We went through one of the bags together as a class as an example (bag 5). We decided the subject was baking, the details were the individual items in the bag, and the main idea was that you need both ingredients and tools to bake. For language arts, we focused on CAPITALIZATION! Goodness knows we are still struggling to use capital letters correctly in our writing. Again, I used a Flocabulary video to review what my students already know about capitalization (they know a lot... they just struggle to implement it!) Then of course we needed a cadence to match to since was boot camp after all! 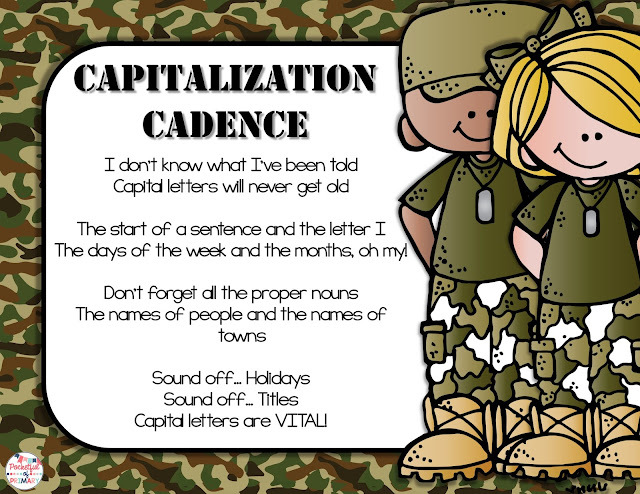 I wrote this cadence to identify the main uses of capitalization. If we can remember the lyrics to the whip and nae nae, we should be able to remember the words to this as well! 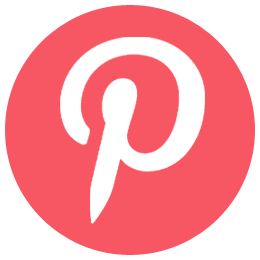 I'm inserting a JPEG that you can use in your own classroom! Then I broke students into 2 groups for a mini obstacle course relay! I gave each student a sentence with magnets on the back that either had correct or incorrect capitalization. 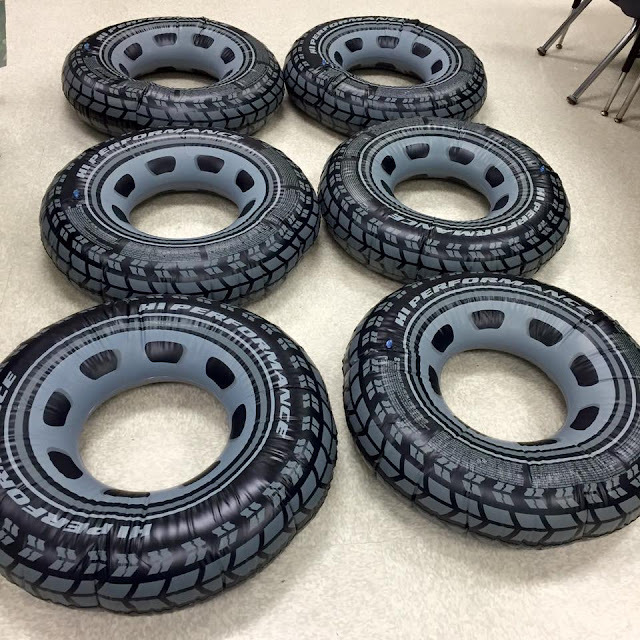 Each team got into a line and had to jump through the inflatable tires one at a time to put their sentence on the board under the correct category (correct or incorrect). Then we reviewed each sentence as a class and identified the capitalization rules! For the second day, we trained to become Army medics that needed to tend to "wounded soldiers"! Our wounded soldiers were paragraphs that had numerous capitalization mistakes! Students worked in partners to repair the mistakes with bandages and write the capital letter on top. This activity was a BIG hit! I found a box of 60 bandages at Target for less than $2! Each group of students needed 8 bandages so I used 2 boxes. Super easy! 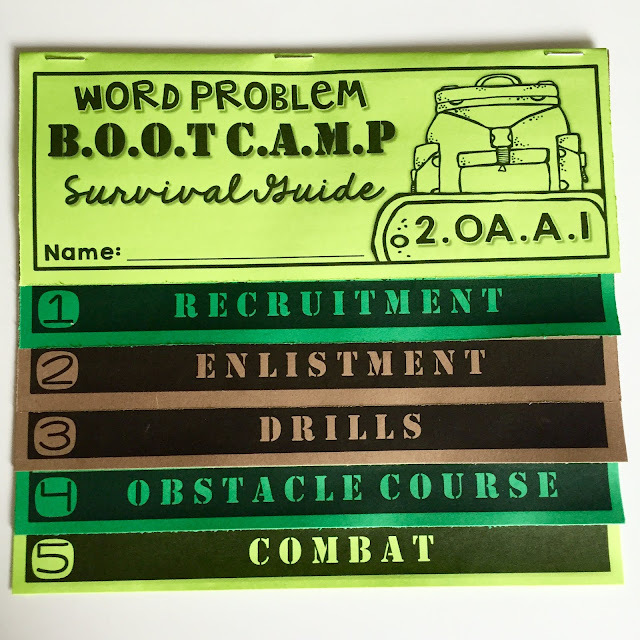 If you are interested in my Word Problem Boot Camp product, you can click the image below! 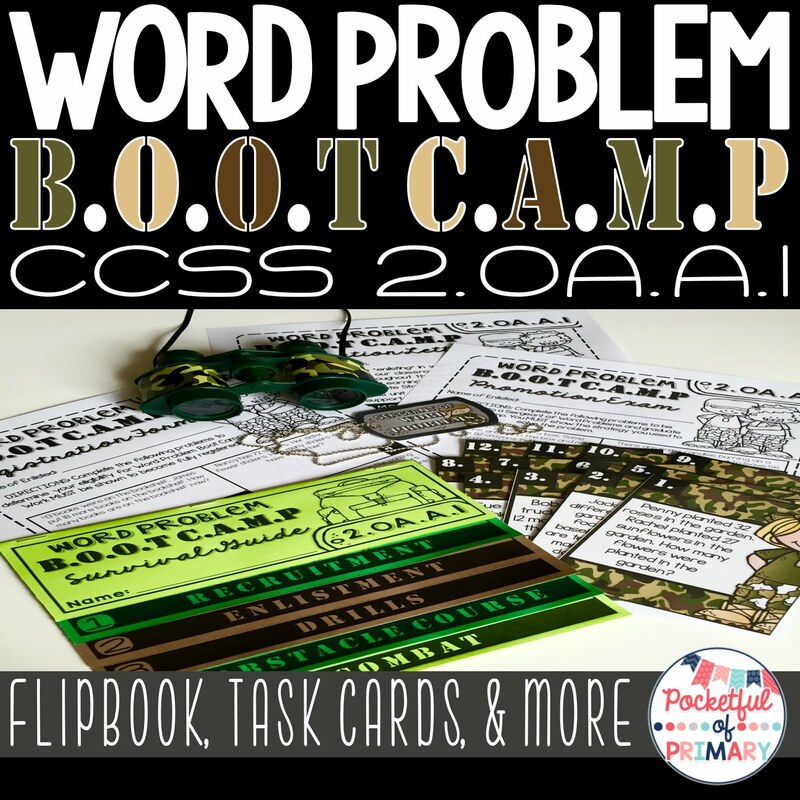 The product contains the flip book and task cards featured in this blog post along with a pre-assessment, post-assessment, and more! Here are all the links to the items I used for decorations and the prices! I could not have had more fun with this transformation! My students all learned a TON and had fun while doing it! Best of both worlds! 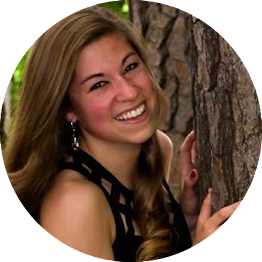 If you have any questions, please leave a comment below and I will be happy to answer them! 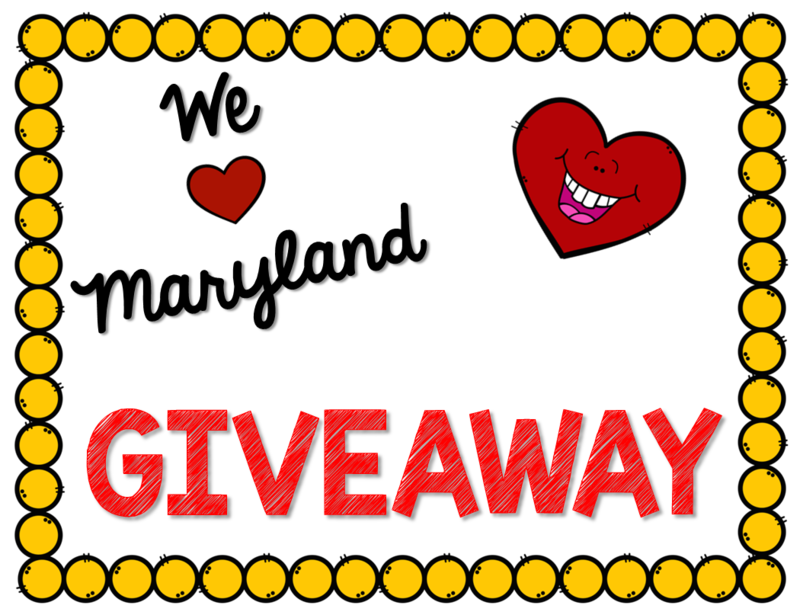 What better reason to come out of semi-blog-retirement (AKA letting life get in the way of posting for weeks on end) than a blog hop with FREEBIES and GIVEAWAYS?! Do you need any more reasons to realize that Maryland teachers are down right AWESOME? We have 10 freebies and 10 giveaways for you to hop around to! 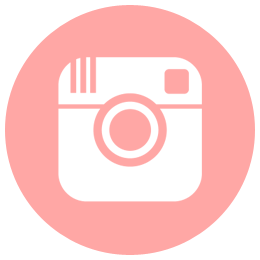 On each blog you will find a freebie only available during the blog hop, a Rafflecopter to enter for a giveaway, and a button to hop on over to the next blog! 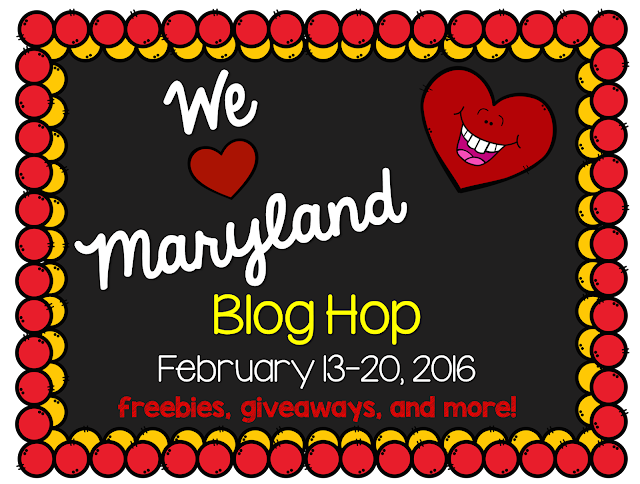 Not to mention you will see a different reason to heart Maryland on each blog! How do I pick only ONE reason I love Maryland? 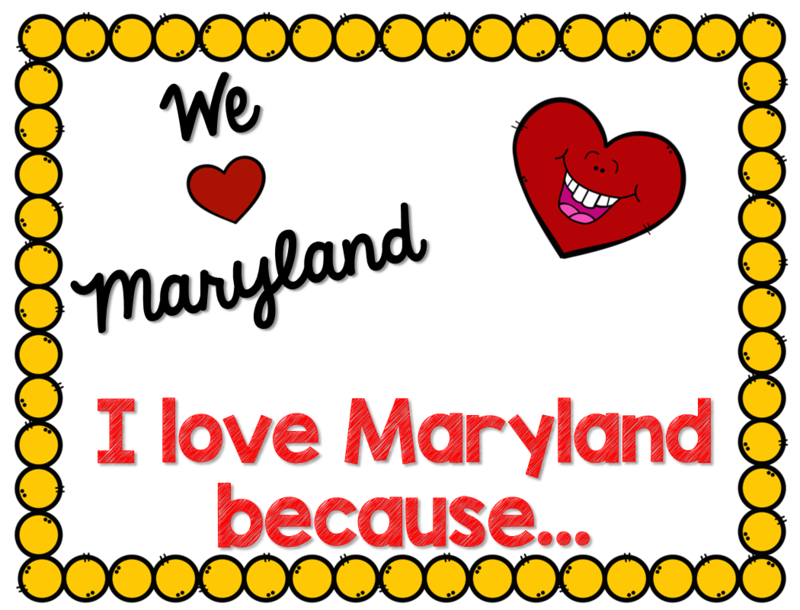 Between the crabs, Old Bay seasoning, and beaches everywhere you turn, everything about Maryland just feels like home to me! I have lived in Maryland for my entire life and couldn't even begin to imagine living anywhere else. As strange as it may sound, the number one thing I love about Maryland is the flag. Yes. 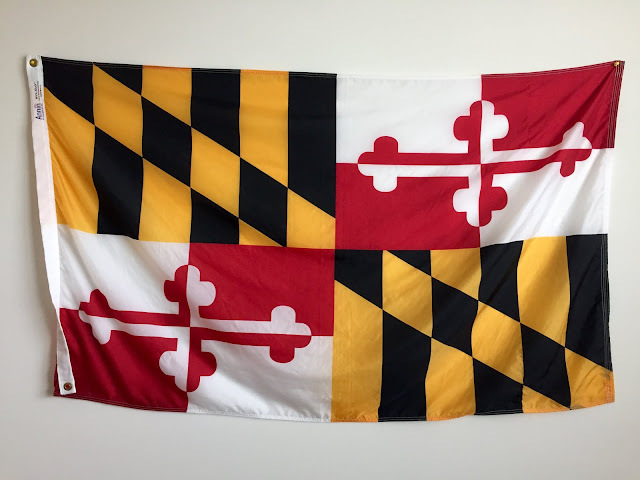 I actually do have the Maryland flag on the wall of my office. If that isn't Maryland pride, I don't know what is! 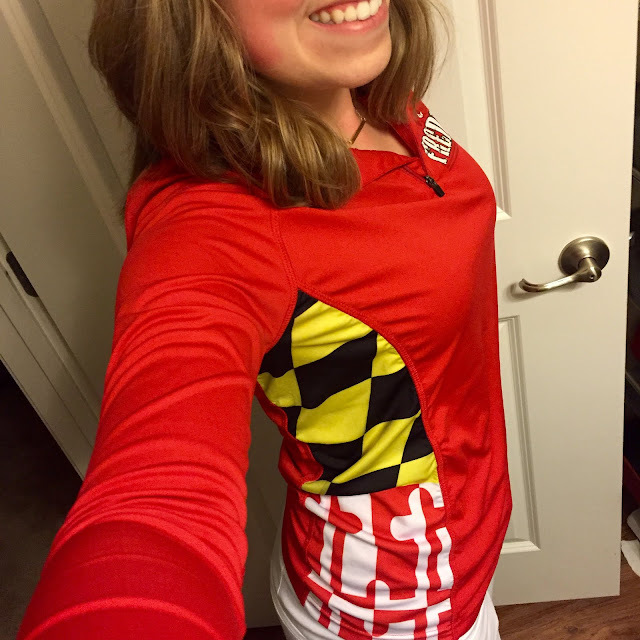 Not to mention, I have the Maryland flag on multiple articles of clothing. This may seem ridiculously weird to a lot of people, but here in Maryland it is completely normal to put your state flag on anything and everything! I swear! Now that I have bragged about my state a little, it is time for a FREEBIE! February is one of my favorite months! 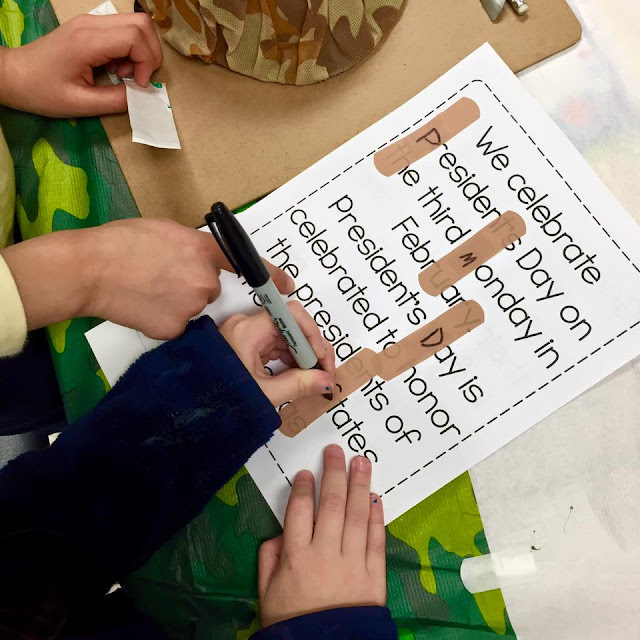 Between Valentine's Day, President's Day, and the 100th day of school, there is plenty going on all month long! I personally know that months like this can be crazy so any timesavers for the classroom are appreciated! Please note that these templates are for personal use only. 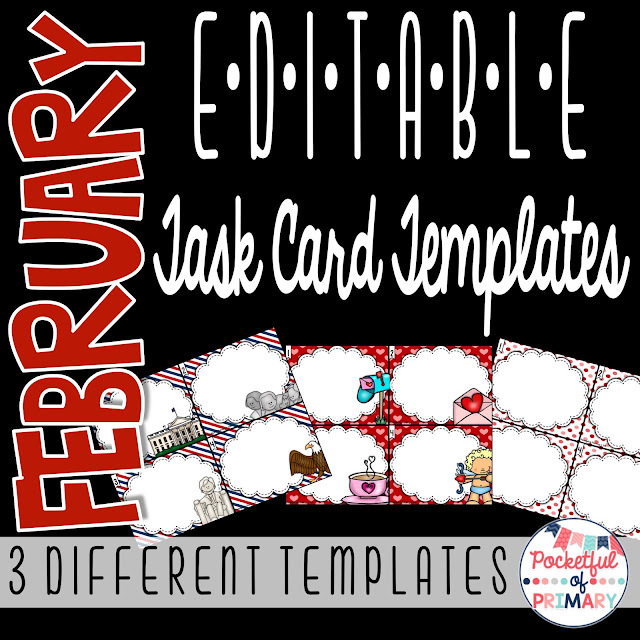 This freebie is ONLY available during the blog hop from February 13, 2016 - February 20, 2016. 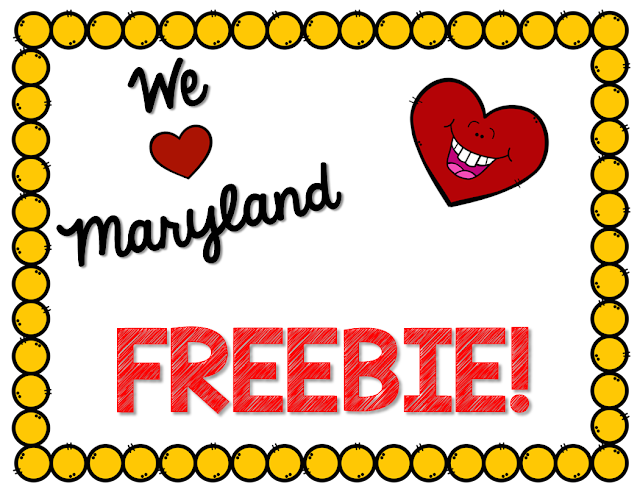 If you like this freebie, you will LOVE my giveaway! I am happy to announce that I am giving away the full set of my Monthly Editable Task Card Templates! 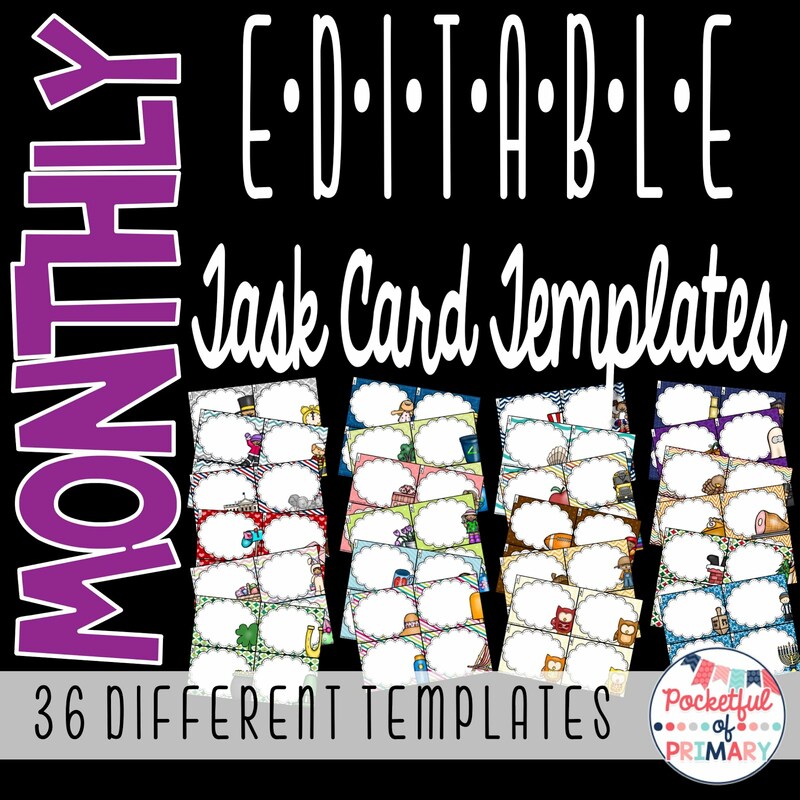 This full set includes 3 themed templates for each month plus 3 bonus surprise templates that are not available anywhere else! It's a $36 value that could be yours for FREE! Enter for your chance to win using the Rafflecopter below! That is only ONE of the 10 freebies and giveaways! 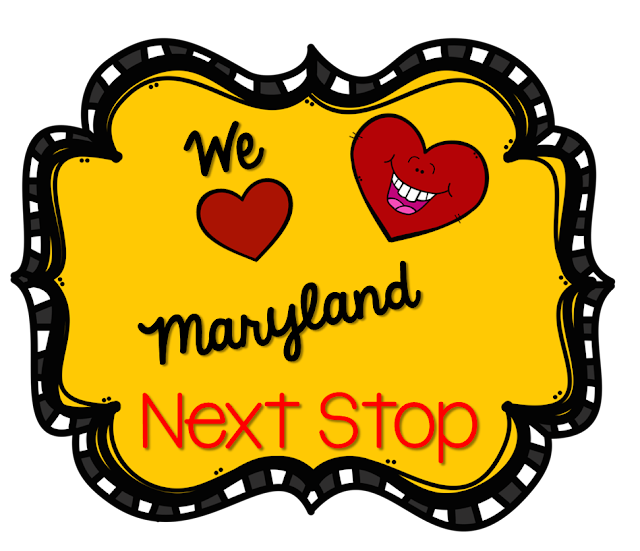 Hop on over to see what Cheryl loves about Maryland! Don't forget to keep hoping until you have entered for a chance to win all 10 giveaways!